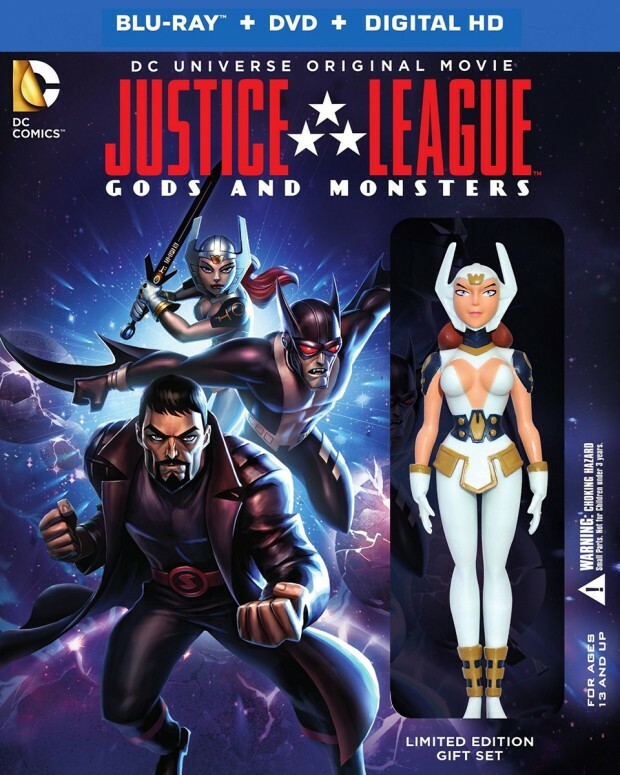 To promote its new direct-to-video animated film Justice League: Gods & Monsters, DC collaborated with Machinima to release Justice League: Gods & Monsters Chronicles, three animated short films that give us a peek at the movie’s alternate versions of Superman, Batman and Wonder Woman. In Gods & Monsters, Superman is the son of General Zod and is willing to do whatever it takes to save the day. Meanwhile Batman is more bat than man. Finally, Wonder Woman isn’t Princess Diana but an alternate version of Bekka – this time the goddess is the hot-blooded daughter of Ares. It’s definitely not meant for kids, unless you want the little ones asking you what a “safe word” is. Justice League: Gods & Monsters comes out on 7/28. You can pre-order its DVD for $15 (USD) and its Blu-ray for $20 on Amazon. There’s also a $28 limited edition bundle that comes with a DVD, Blu-ray, digital copy and a Wonder Woman figure. DC is also releasing a series of comic books and action figures based on these characters.